Become a patron of the Abbaye aux Dames, cité musicale! Season concerts and shows, residences, festivals, training courses, exhibitions, conferences, cultural outreach projects… At the Abbaye aux Dames, cité musicale, support the project that is right for you. The Jeune Orchestre de l’Abbaye (JOA) Support tomorrow's talents today! The Festival de Saintes Help with a unique event: nine days at the heart of a festival that has an international reach. 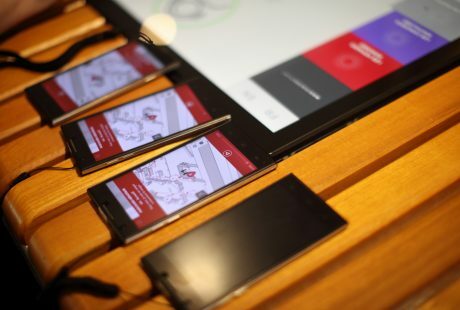 Musicaventure Digital innovation benefits music for a custom-made experience. Cultural outreach activities Take action alongside local residents to help everyone discover the joys of music. Season concerts All year round, music unites and revitalises us: share unforgettable moments. 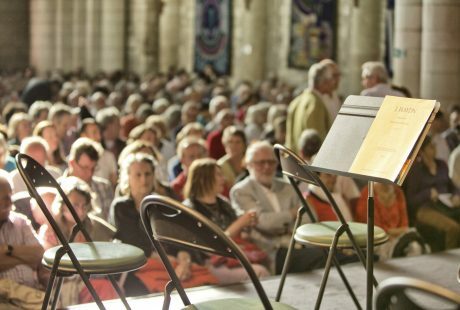 The Jeune Orchestre de l’Abbaye offers training that is unrivalled in Europe. 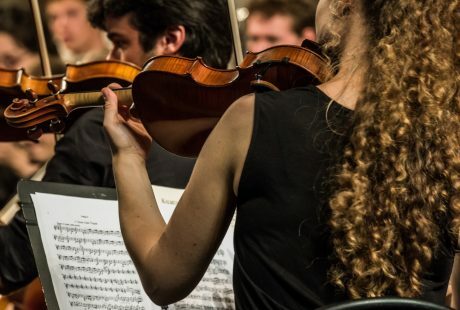 It provides young musicians who are finishing their higher studies or launching their careers with both fantastic training and an entry into the world of work. You can finance study grants, accompany musicians on their tours, acquire period instruments… There are many ways to support tomorrow’s talents. With some 30 concerts, conferences, workshops and rehearsals, there are nine days and a thousand ways to enjoy the festival. It is a unique occasion to develop your business and networks and share your passion for music. Five modules offer a connected, sensory experience of the abbey and music. 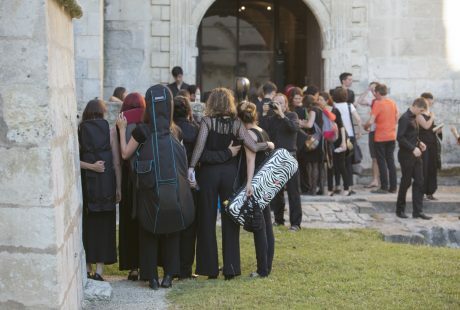 Open to all, novices, the simply curious or connoisseurs, Musicaventure visits are the time to share your love for music and discover the unique Abbaye aux Dames. Help with an incomparable project and set your seal of innovation and enterprise upon the abbey’s thousand-year history. The Abbaye aux Dames is a musical centre (cité musicale); an open centre that reaches out to those who do not have direct access to culture. Inside and outside the abbey, you can experience music, heritage and culture in unique settings and formats. 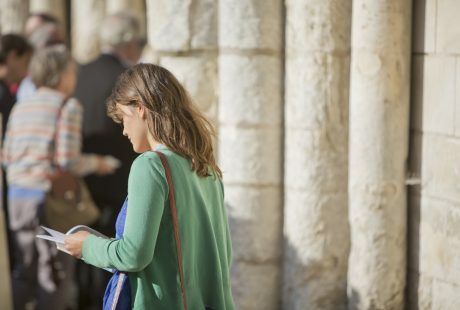 Alive, tangible and inclusive, the cross-cutting formats of abbey activities encourage very different audiences to discover culture. Join a collective, energetic group formed by artists, culture newbies and actors from the tourist, heritage and social sector, to mention only a few! An original, high-quality music programme animates the abbey’s four seasons. 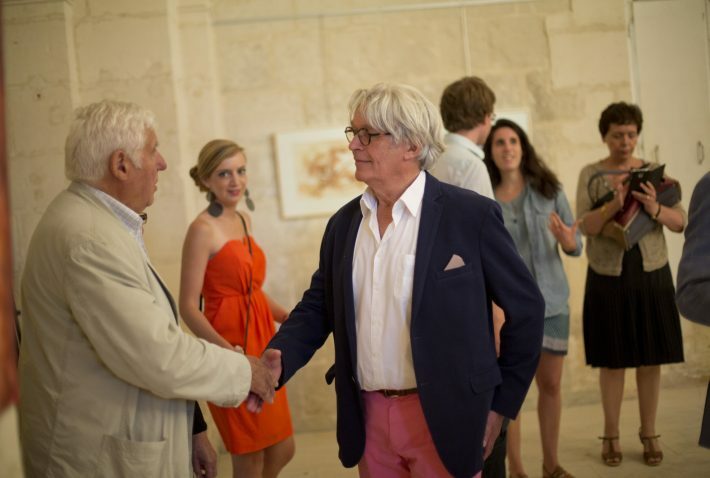 The on-site presence of working artists is ideal for encounters. All year round, share unforgettable moments at concerts, art exhibitions, festive or intimate gatherings… Be our guest! By telephone at: 05 46 97 48 45, or fill in the form below.